Right now, I'm OBSESSED with off the shoulder tops. If you follow me on Snapchat (colieolieoh), or watch my InstaStories (itsnicholemarie), you've seen that I've been sporting this trend a lot. It's the perfect mix of comfort and sexiness with that easy to wear, throw on and go style, and showing off the perfect amount of shoulder. 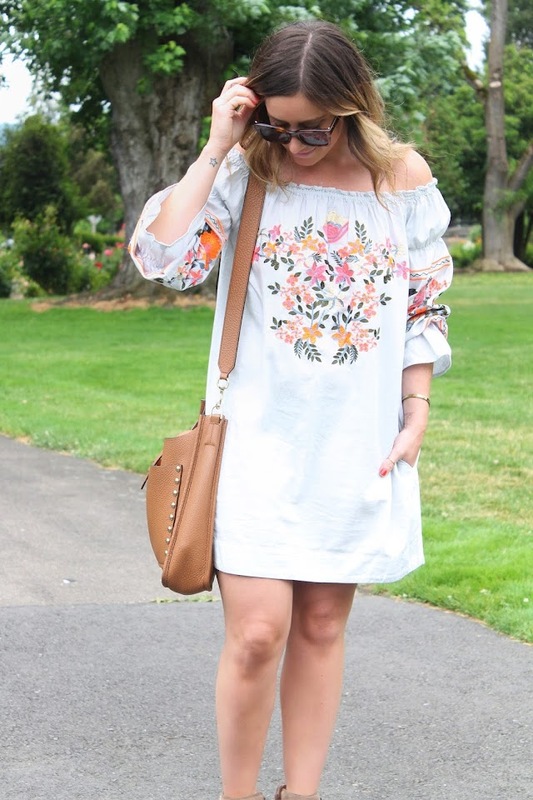 The dress I'm wearing here, is the Fleur Du Jour Mini Dress by Free People. I'm wearing an extra small. (I think this dress runs large). It has gorgeous embroidery, and is extremely comfortable. AAAAND you can easily dress it up, or dress it down. I'm always down for a little boho in my wardrobe. 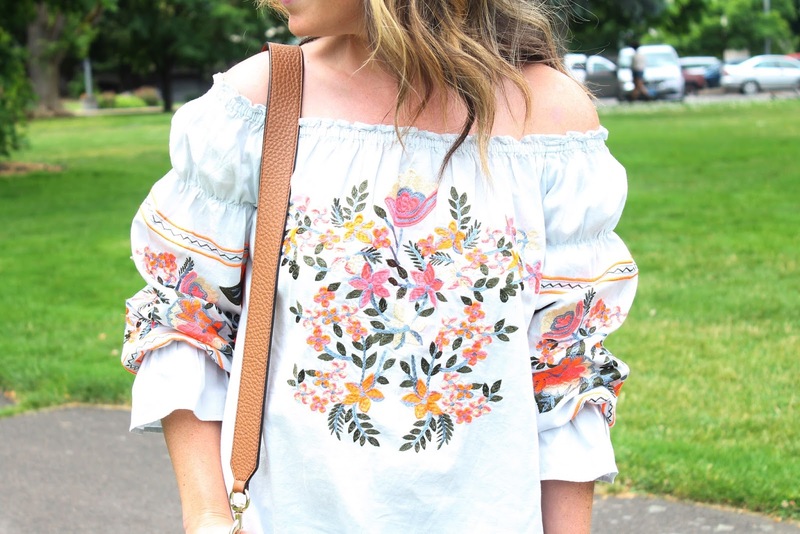 In addition to my new favorite dress, I've rounded up some of my favorite off the shoulder pieces below..